Master George O'Connor of Castleknock, (1778 - 1842) dressed in red with buff breeches, sitting in a chair. Literature: W.G.Strickland, “The Painters of Ireland”, volume II page 343, as by Sir Martin Archer Shee and painted in Dublin about 1786. Sir Martin Archer Shee (1769-1850) was born in Dublin on December 20th 1769, the son of a family originally from Kilkenny which has subsequently moved to Co. Mayo. He was sent to school in Dublin and there first evinced the talent as a draughtsman which subsequently became his hallmark. He entered the Dublin Society’s Drawing Schools in 1781 at the age of twelve under the tutelage of Francis Robert West: he won virtually all the medals and prizes for which he was entered., notably the medal for landscape (1782) and portraiture (1783). At the age of 16 or 17, he set up his own studio at 32 Dame Street, Dublin, and by 1786 was “as busy as anyone with one head and two hands can possibly be …..I have pictures in hand to the amount of more than 50 guineas…..I am also to receive a silver palette from the Dublin Society in token of the approbation of my pictures” (als. 1786 quoted by Strickland, op. cit. p.330.). The present painting dates from this period. 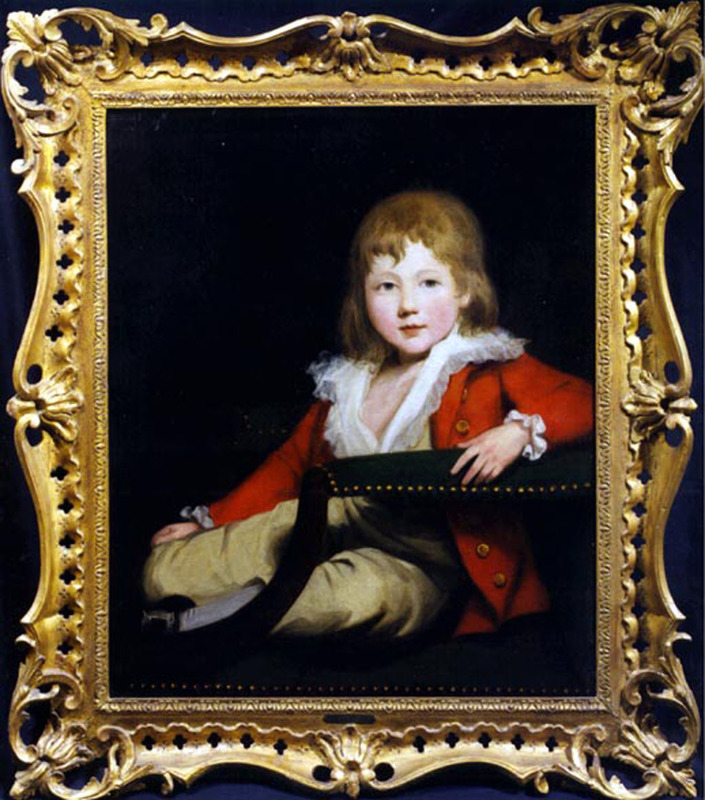 Encouraged by Gilbert Stuart, the Amercian painter then working in Ireland, in June 1788 he moved to England, working initially as a copyist for the engravers Macklin and Boydell. 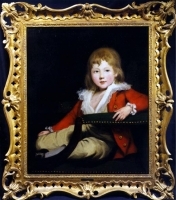 He was subsequently introduced to Sir Joshua Reynolds, who advised him to join the Royal Academy Schools, to which he was admitted in November 1790, just before his 21st birthday, and by the following year, he was exhibing the first of his very many exhibits at the Royal Academy Summer Exhibition.. He was admitted A.R.A. in 1798. Henceforth his career was that of the hugely successful portrait painter, and after the death of Lawrence he was elected by a large majority as President of the Royal Academy in 1830. In the same year he was knighted. He was a member of the Society of Dilettanti, the Royal Society and several overseas cultural institutes. Painting apart, he was a poet, critic, playwright. He died at Brighton on 19th August 1850. George O'Connor was the son of the Rev. John O'Connor of Tipperary, 1738 -1803, who became vicar of Arboe in 1773, and Rector of Castlenock, County Dublin, in 1794. Like his father before him, George was educated at Trinity College Dublin, where he matriculated on October 6 1794 at the age of 15, proceeding Bachelor of Arts in the Winter Term of 1799. He did not take his Master of Arts until the Summer of 1838. He was received like his father into the ministry, and for more than 30 years was prebend of St. Patrick's Cathedral. He was the rector in succession to his father of the united parishes of Castleknock and Clonsilla in the Dublin Diocese, and of Donaughpatrick in the Diocese of Meath. His father had held these cures for upwards of 40 years. George died 14th November 1842 aged 64, and a memorial and bust were erected to his memory at the church in Castleknock. According to the inscription on the he was "...a fond and affectionate husband, a wise and tender parent, a tried and valued friend, excelled by none." The memorial to this amiable man survives in the church at Castleknock.